The Great Blue Heron is the 2020 Early Bird Mascot. This year’s Early Bird season is from May 1–31, 2019.
get in on some great perks. **Information about the "perks" will be provided in the coming weeks. Welcome to Wayzata Girl Scouts!! This is going to be a great Girl Scout year! I look forward to welcoming our 16 newly created Troops as well! ​(Check out the "Leaders" tab for more information.). Should you be in need of support or have questions, please don't hesitate to contact me! Please check out the Wayzata Girl Scouts Facebook page! 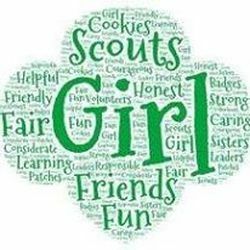 If you're looking for Cookie information, please check out our Wayzata Girl Scout Cookies page! ​If you're looking for Holiday Bazaar information, please check out our Wayzata Girl Scouts Holiday Bazaar page!